[edit 04/07/2017] The ROCKPro64 case is now available in the store. 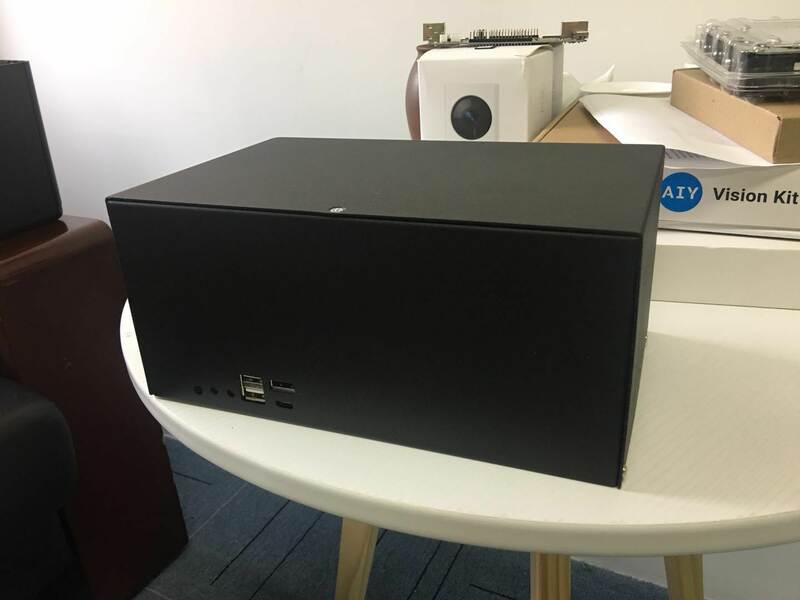 I am attaching pictures of prototype NAS / Desktop/ Server (or whatever you're making) case for the RockPro64. Just in case you're wondering, the production version will come with matching black screws making it look neat. Once I know the exact dimensions I'll edit this post. 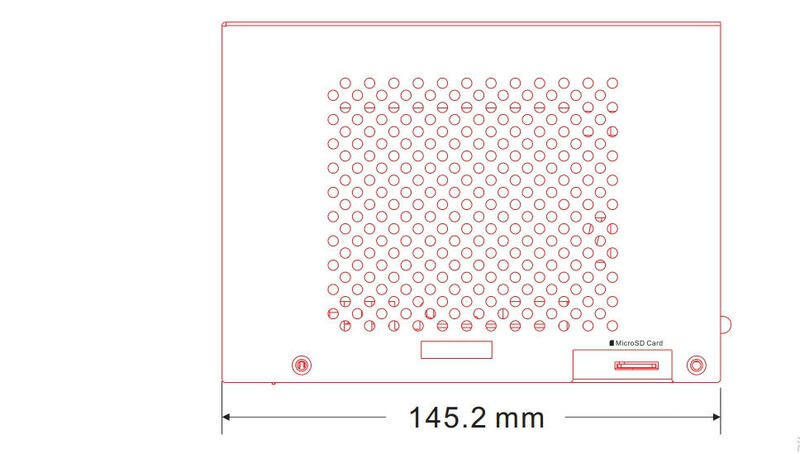 As for availability of the case, it should be available sooner than you might think - probably around the time the second batch of boards ship later this month. Its a hefty - as in actually quite heavy and really sturdy - metal case with ionized black finish. Its genuinely high quality. It has an internal mount for 4 HDDs inside: 2x3.5" HDDs and 2x2.5 HDDs as well as a bracket for a 120mm fan. 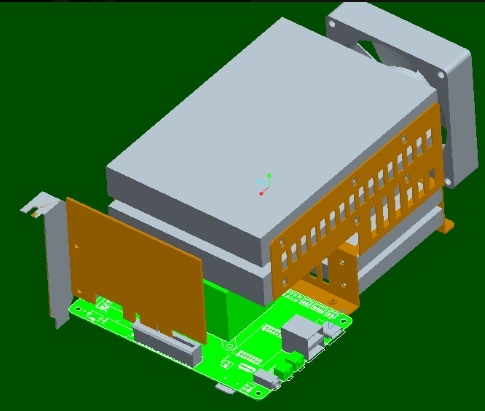 You will obviously need the PCIe SATA card sold in the Pine64 store to attach the drives. There will be a way to power those drives too - work is being on that right now (again, once I know more I'll update the thread). There are cutouts for the USB 2.0 / 3.0 and C ports as well as GbE, HDMI, AUX jack, Power Jack, Power/ Reset buttons and PCIe cards. 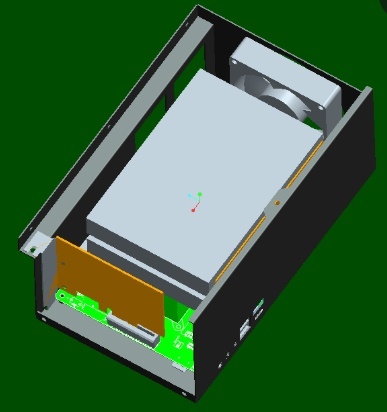 So, in theory you could add more storage of other high speed I/O stuff via USB 3.0 and C. In the back of the case, at the top, there are also 3 additional cutouts for BT and WiFi antennas. As always, feedback and reactions are very welcome! That looks very cool. Any sense of the cost? Finally! I have been waiting for it. Could you provide populated (4 HDDs) internals photo? How do you connect 4 HDDs and supply power? The most important thing is to ensure that under full load (CPU, GPU, all 4 HDDs, other IC (e.g. 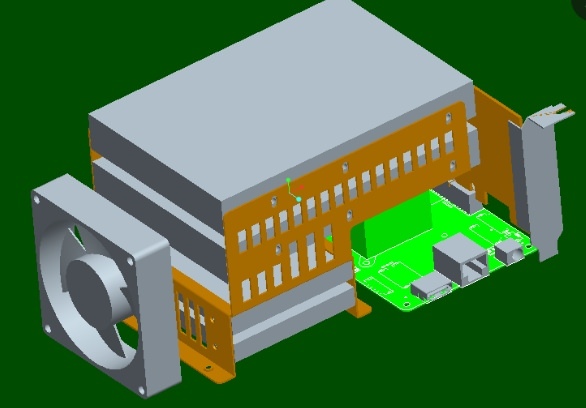 NICs)) the power supply can provide enough amps. It would sad to figure out later than system randomly crashes under heavy load due to power supply issues. This has a high chance to be my next Nexcloud + Backup repository machine. Any provision for rack mounting? (06-02-2018, 12:56 PM)david13lt Wrote: [ -> ] Finally! I have been waiting for it. Could you provide populated (4 HDDs) internals photo? How do you connect 4 HDDs and supply power? I have edited the post with some renders - as soon as I'll have actual pictures of the internals I'll make sure to update the post again. Can't same I'm liking the idea of the fan and heatsink placement I would have liked another fan inline with the SBC, so that it's heatsink is cooled more directly, rather than potentially heating up the stacked 3.5" hard drives above it. I know it doesn't generate much heat idling... but will warm up significantly under load (because it can) and even a few degree increases is a lot over time when it's sustained. Thanks for the picture update! Agreed regarding dust protector/filter on intake grills. These backup / NAS / etc systems are not touched and cleaned frequently. Cleaning a filter is better than powering down and cleaning the whole machine with compressed air. What about HDD vibrations? Does it come / work with anti-vibration screws or something similar? Same question with case feet. Some rubber to protect it from sliding and dampening some vibrations. 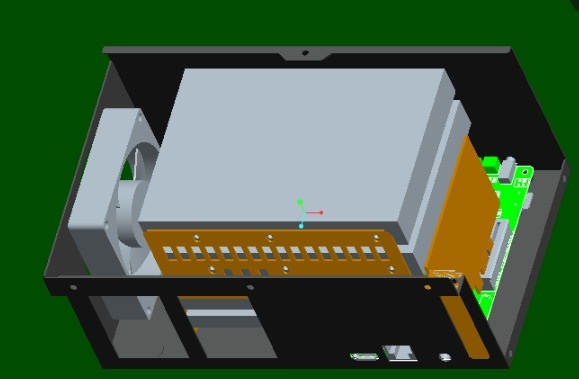 I Like the idea of this case, but I've lost drives to overheating before, so I share pfeerick concern on how much heat will build up if the SBC is under heavy load. 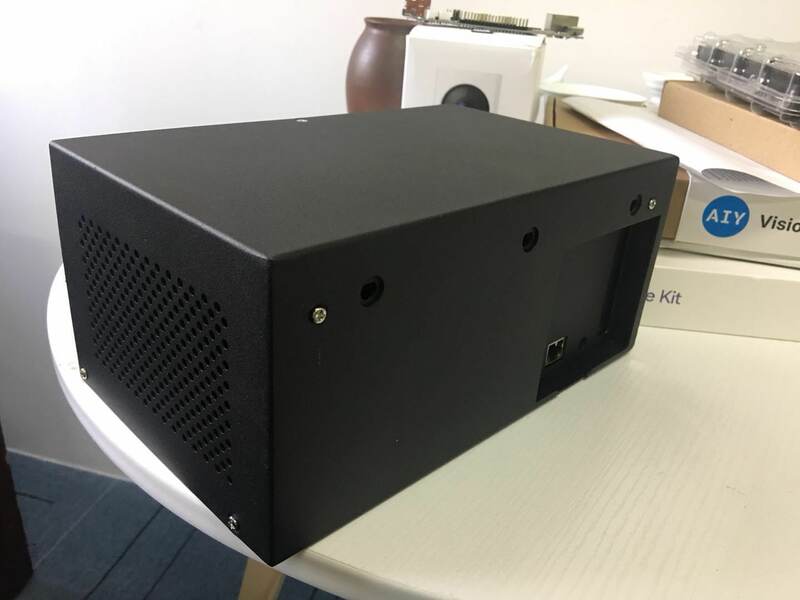 From the photo's it looks like only one end of the chassis has a grill, if your going for NAS/Server then grills at both ends would be better. I'm not sure if you could get a fan in at the SBC end as well. I get why a desktop version would not look that pleasing with grills at both ends.